Great news today, straight from the mouths of Anthony & Joe Russo, the Marvel maestros who’ve elevated Captain America with The Winter Soldier two years ago and are poised to do it again with this weekend’s release of Captain America: Civil War. 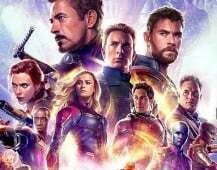 During an interview with Collider, the directors – who are also trying to top themselves again with the upcoming Avengers: Infinity War duology – were asked if any LGBT characters would show up in future Marvel projects and the two said they were confident the LGBT community would be represented in the MCU. It’s great to know the directors – and Marvel head honcho Kevin Feige – get asked these questions and give such encouraging, refreshingly candid answers. Progress is slow, as we all know, and while some may decry inserting an LGBT character a political move, it’s far more important for those who identify with the LGBT community to see themselves on screen as part of this massive Marvel sandbox the whole world gets to experience. That’s the key though; the whole world is hardly on board with it. Countries such as Russia and especially China are becoming more and more important for studios’ bottom lines, and audiences overseas expect different things than domestic audiences. We’ve had three white guys named Chris portray various Marvel superheroes and we’re just now getting a black superhero movie (Black Panther) and female superhero movies (Wonder Woman, Captain Marvel). To me, getting an LGBT character (but particularly a superheroic one) is the next logical step and one that would cement Marvel’s reputation as reaching all audiences, all the time. Because of talents like the Russo brothers, the sky is the limit when it comes to the MCU. Diversity for the sake of diversity is tokenism. Tokenism serves no one. We are more than just our race, gender or sexual orientation. Who we are matters more than what we are. Not to mention there are no gay Avengers. Well spoken, by the way. Because there aren’t any gay Avengers. I can’t be clearer than that. Circular logic aside, have all of the Avengers expressed their sexuality for you to evaluate? Every one I can think of yes….name one that has expressed being homosexual….just one. So you have to see proof of sexuality in order for it to be real? Not cool man. …also, Psylocke. That is not an Avenger, and I said Avenger, I was specific. Psylocke was in some avengers books, fighting with the Avengers. I didn’t realize you wanted a “documented member.” The crux of what I’m saying is that sexuality does not define a person and it should not define a well-rounded character. The presence of heterosexual relationships does not preclude homosexual interests. Any of the present MCU characters could be gay. Nobody should be able to tell. I should add that I have every confidence in the Russo’s to execute an LGBT character properly. I am a huge fan of the loving, platonic relationship they executed between Black Widow and Steve Rogers. That was NOT platonic. They absolutely wanted to bang. And if sexuality doesn’t define someone then it doesn’t matter if we get a gay Avenger. Your rationale is that some of these characters who have not expressed any alternative leanings, might be homosexual on the inside…..sorry you are reaching. I honestly think its lip service from the Russo’s I dont believe they’d make any Avenger gay. I take that back…maybe a nobody like Mantis, but no big character. The blowback would be huge and they arent going to endanger their multi billion dollar franchise. You’re incorrect. The writers and directors said it was always a platonic, bother-sister relationship. Anyone holding to this notion that Widow and Cap were pursuing a sexual relationship suffer from an unfortunately juvenile view of human relationships. Apparently, that includes you. You ever kissed your sister on the mouth like that? Family reunions must be exciting at your house. They aren’t literally siblings. Have you never kissed a person with whom you did not intend to sleep? There was a specific reason for that kiss, but Widow was also making fun of Cap. She was “ribbing” him. Haven’t you ever known a woman who was not interested in you, but flirted like crazy just because? I have a gay friend that kissed me as a joke at a party once. I never wanted to sleep with him, and he never intended to sleep with me. It got a lot of laughs though. That was years ago, we never slept together (also never will), and we’re still friends. What about spin the bottle when you were a kid? I remember kissing a couple girls in whom I was not interested. No, I never kissed a woman I wouldn’t sleep with. Your getting kissed by a dude anecdotes, mean nothing. If you are going to be obtuse and claim there was no inference of sexual tension feel free. I and most everyone will disagree with you. Have fun joking at your next party…. How do you know? Falcon, War Machine or Scarlet Witch never mention a partner. Personally I think it would awesome for kids to grow up with a LGBT superhero. It would show kids that it’s normal while giving LGBT kids someone to look up to and just recognise with the stereotypical gay friend character. At the end of the day these are kid’s films, it would be nice if the biggest films in the world had a gay hero since there is very little in fictional pop-culture at the moment. Scarlet witch was married and Sam and Rhodey have both had girlfriends….try again. Kingpin was white in comics black in a movie, so was Nick Fury, Deadshot, Electro, Perry White, the Human Torch and Heimdall. Harvey Dent went white to black to white again. Hulk was grey to green. Iceman was gay in some comics and straight in a movie. In the movie universe, you are correct. Historically though, those characters have not been gay. And homosexuality is not equivalent to race, so though I see your point, that is a poor example. I agree. I think it is far more important to have characters with which people can identify on a philosophical level. Cultural perspective should outweigh demographic perspective. I (heterosexual white Canadian male) don’t want to see “black” or “homosexual” characters, I want to see compelling characters. If you’ve ever seen The Wire, Omar (homosexual black criminal from Baltimore) is easily my favorite character on the show, because I identify with him. It isn’t his demographic that I identify with, but his philosophies of anti-establishment, honor, honesty, realism, pragmatism, etc. He is one of the most intelligent characters that has ever been portrayed on screen. The facts that he is black and gay serve his story, but are tertiary to his character. I agree, though I understand that people want a hero they identify with. As a black man I loved Panther and Falcon because they were great heroes first…AND they looked like me. Yet I hated Rage and Night Thrasher because they were one note poorly developed characters, similarly I dislike the new Wally West for the same reasons. Cap was always my all time favorite though, because his ideals resonated with me so strongly. He didn’t have to look like me, because he was me on the inside, or at least I hoped to live up to his example. Diversity is important but let them be diverse great characters. This is an excellent comment. Great characters can and should transcend humans’ basic differences and unite us, like you say with Cap. And it’s also important that those differences aren’t ignored or disregarded either, whether its a person’s sexuality, race or gender. They all impact in ways big and small. But great storytelling and characters will always bring us together. Thanks for sharing! Thanks Sam, wish you much success on HH. Good luck and I look forward to interacting again! What did you think of Nick Fury from the Ultimates universe? Was he pandering, or was he compelling for you? It didnt bother me. I enjoyed it, but I view the Ultimate Universe as its own thing. Cap is such a different character, Hulk is a canibal….The whole thing is weird. So it was easy to accept and just enjoy the differences. That being said, 616 Fury Jr. is definitely …odd. Agreed with you here. This would be equivalent to turning Bruce Wayne into an Asian man just for the sake of diversity. I’m sure there are other superheroes out there who are homosexual/gay. The LGBT community are free to follow them but an already established character shouldn’t be changed just to please one section of society. The desire to feature a gay character for the purpose of having a gay character (as opposed to telling an interesting story that just happens to involve a gay character) seems, ironically, like it could reduce the value of the character. It is not sexuality or race that typically makes a character valuable to a story — unless, of course, the story is about sexuality or race. And, in real life, sexuality and race don’t make one person more or less valuable than another. When you get to know someone, you learn that their race and sexuality are just a piece of who they are. There is as much diversity as there are people. This seems like virtue signaling on the part of the Russos. Can’t think of who’d they use, there’s not a lot of notable LGBT Avengers, you’d have to go to the younger teams like YA or Runaways. There is Hercules, but I’d be surprised if they did go with him. Herc is another that hasnt been shown to be gay in the 616 he has at least one child tht I know of, and is written as a lech. I’d be happy to see Hulking and Wiccan though. I enjoy both those characters a great deal. Within the context of the MCU, I think Captain Marvel is a prime candidate here. She hasn’t been introduced yet, so you wouldn’t have to do any retconning to make it work. And since she’s supposed to be a major part of Phase 4 (and likely to be portrayed as very powerful), you wouldn’t have complaints on “handing off” this designation to a secondary character, like Falcon for example. What are the chances that we’ll get the TV characters in a movie? THAT’S what I want to know.